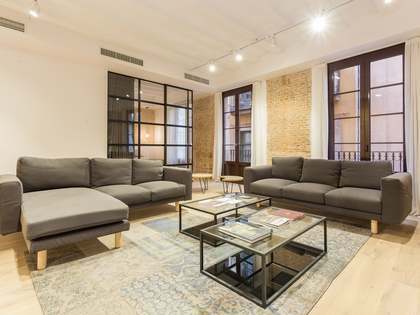 Excellent 179 m² property on the main floor of a historic building dating back to 1856 in Barcelona's charming Gothic quarter. 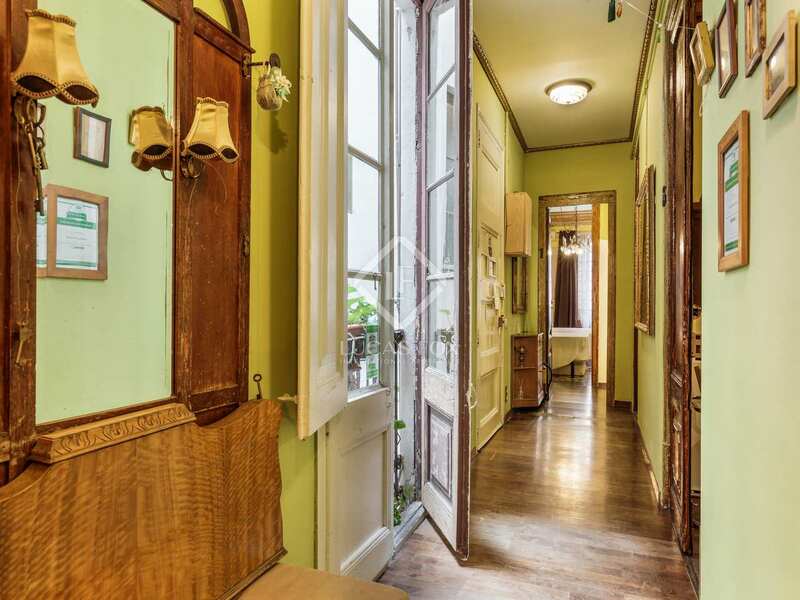 This historic building boasts many wonderful period features and there are only 2 properties per floor. 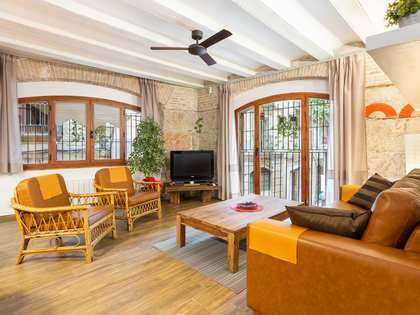 What's more, the owner of this property may enjoy access to the 350 m² communal roof terrace. 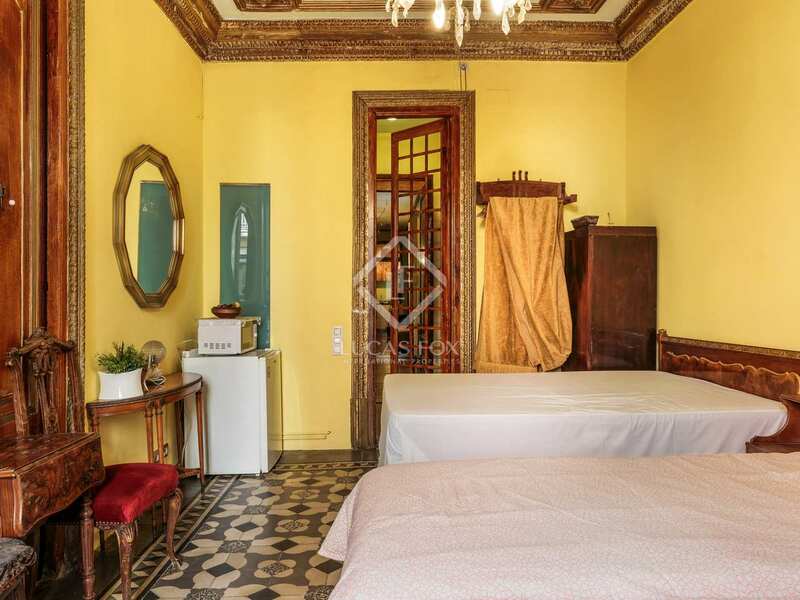 The property currently has 6 rooms, each with its own bathroom, and one kitchen. 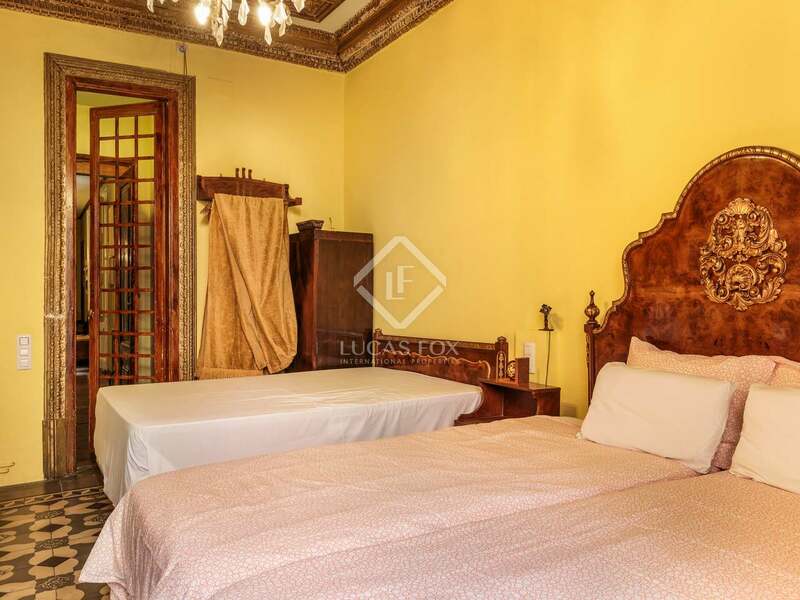 All of the bedrooms have hot and cold air conditioning and are exterior facing with street views. 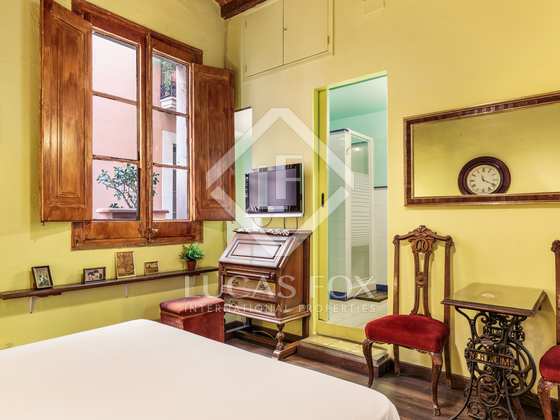 Among the special features of this apartment are the coffered ceilings, original mosaic floor tiles and carpentry and the pretty wrought iron balconies. Gas heating, LAN Ethernet internet connection and hydro massage showers are just some of the additional features. 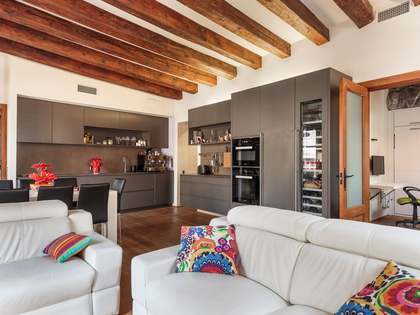 It would be possible to change the layout of the property as there are no load-bearing walls. 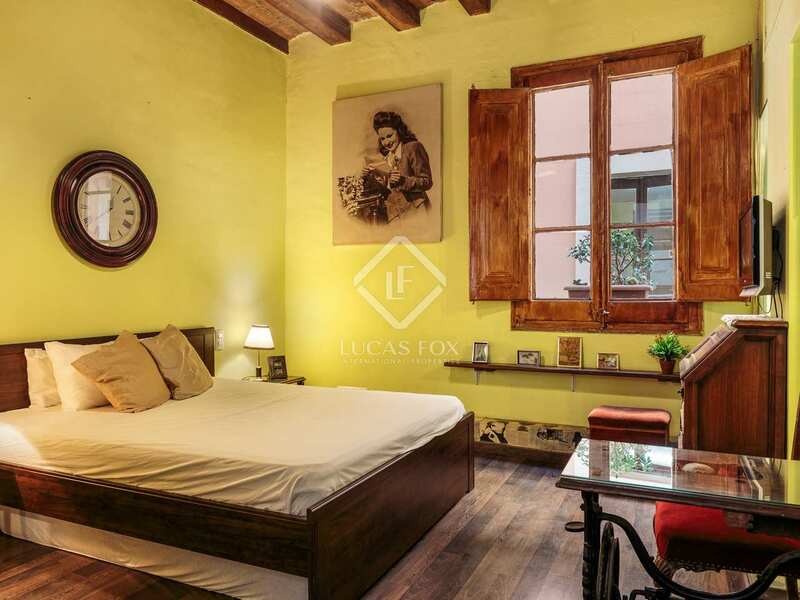 Renovated and equipped with period furnishings, this unique property in an unbeatable location in the Old Town is ready to move into or to enjoy as a lucrative rental investment property. 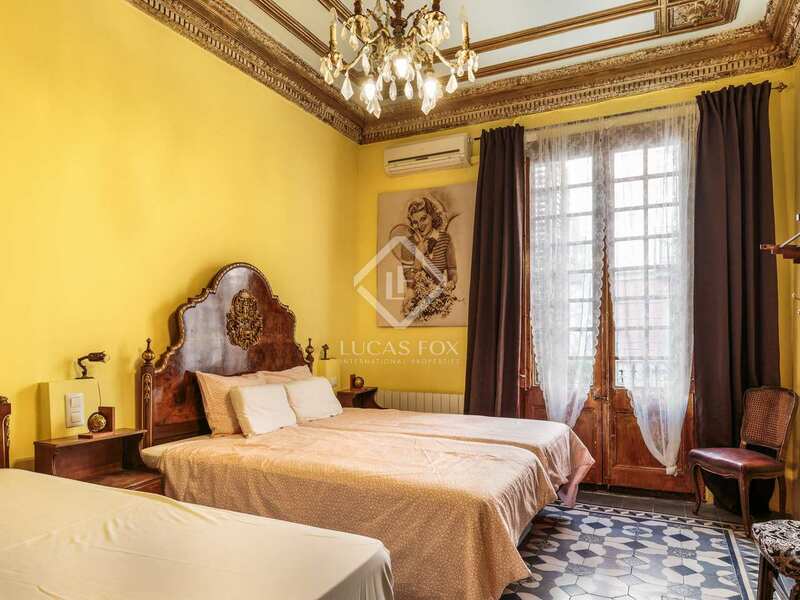 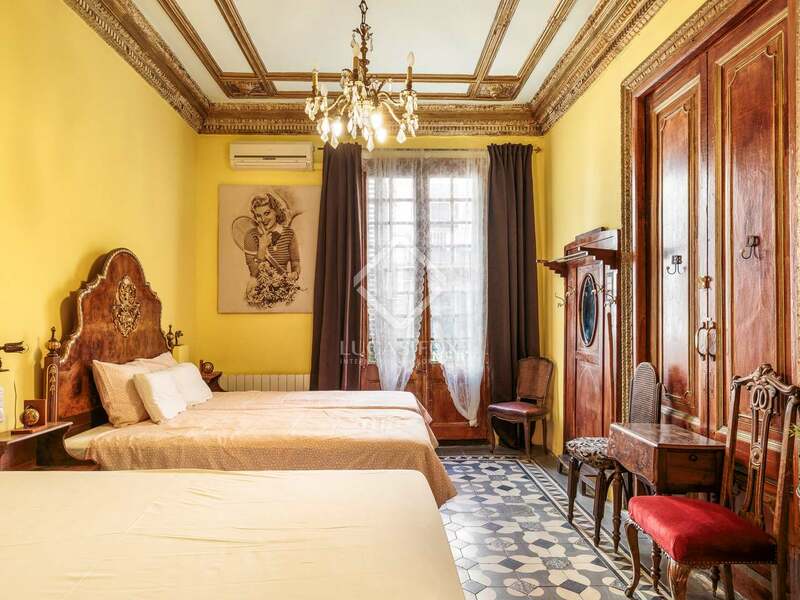 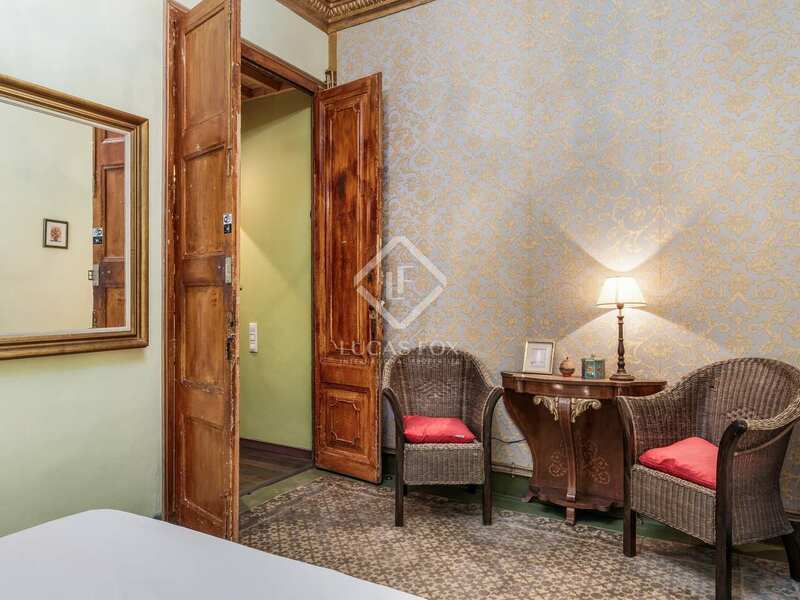 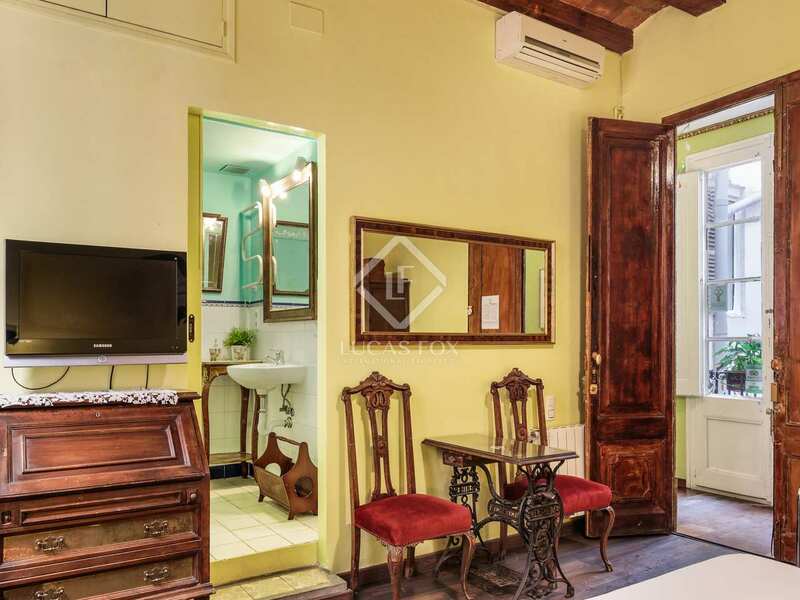 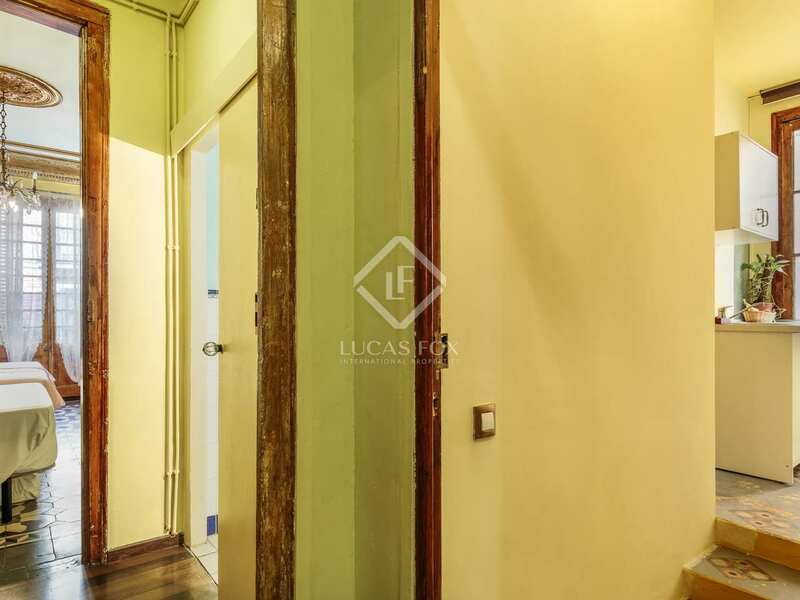 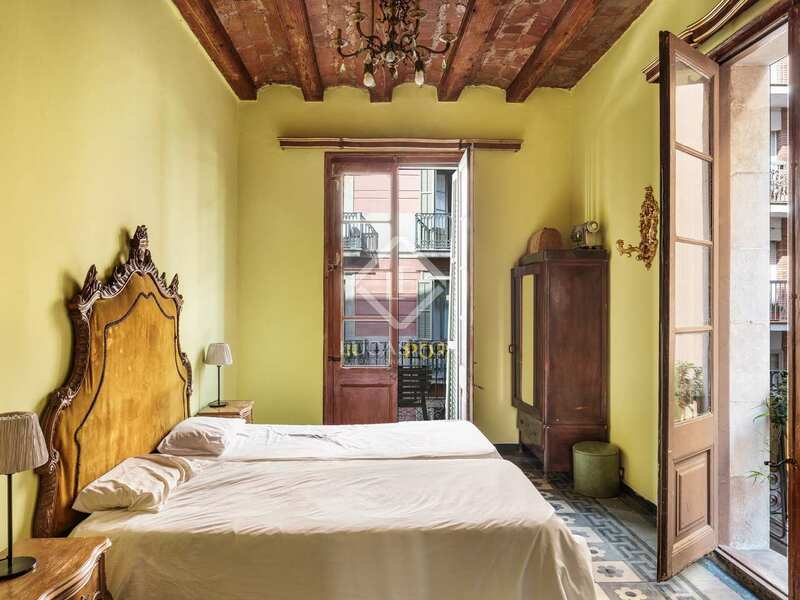 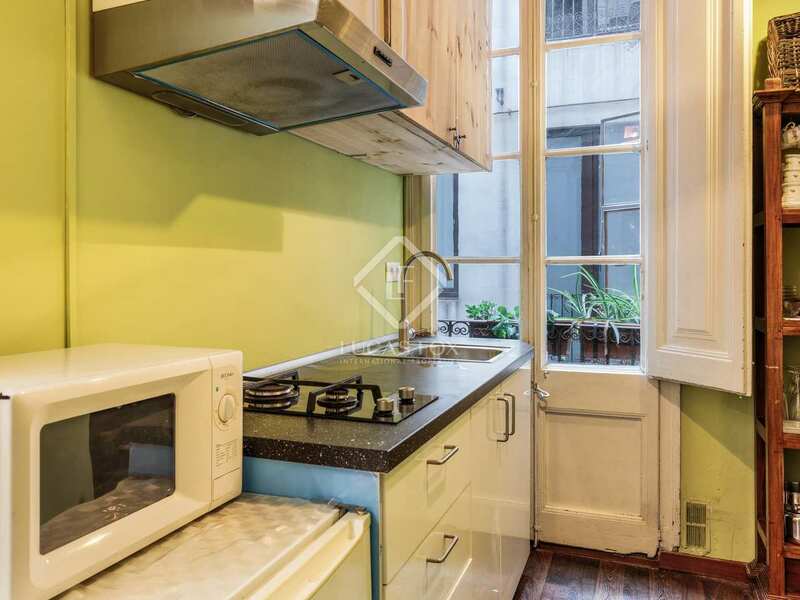 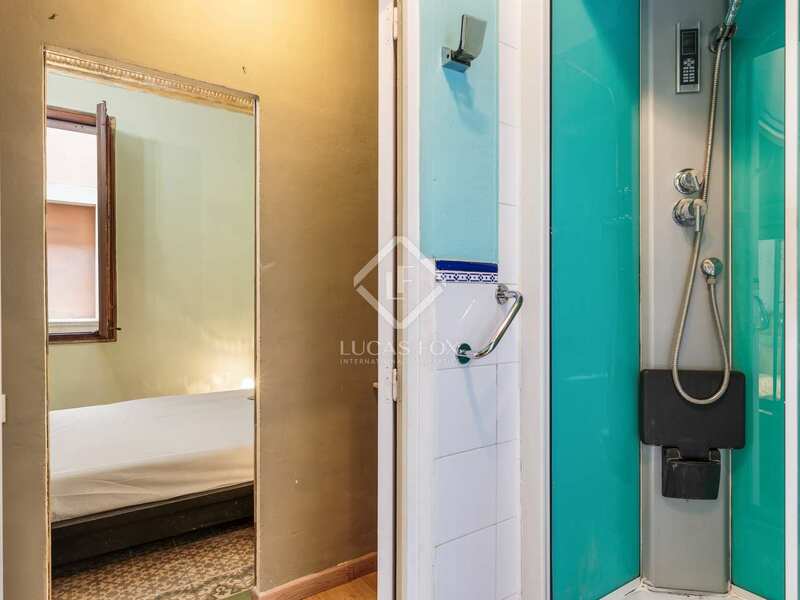 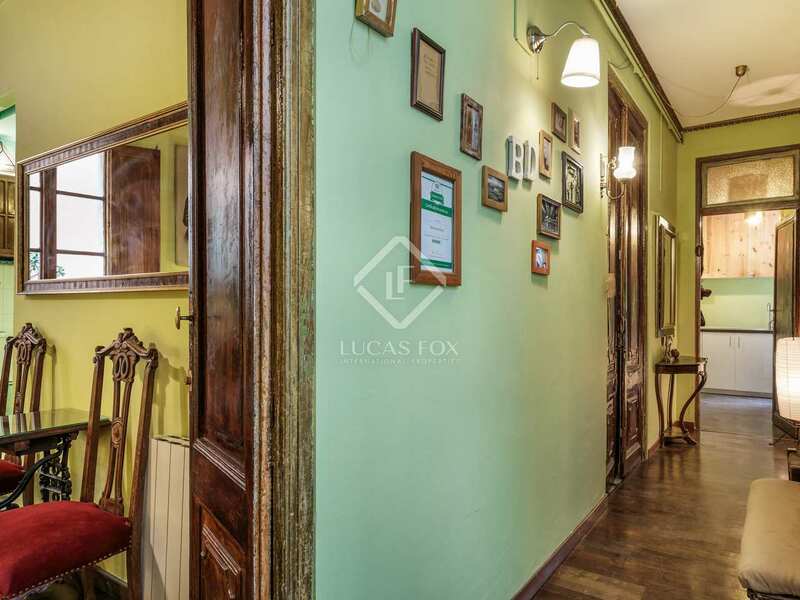 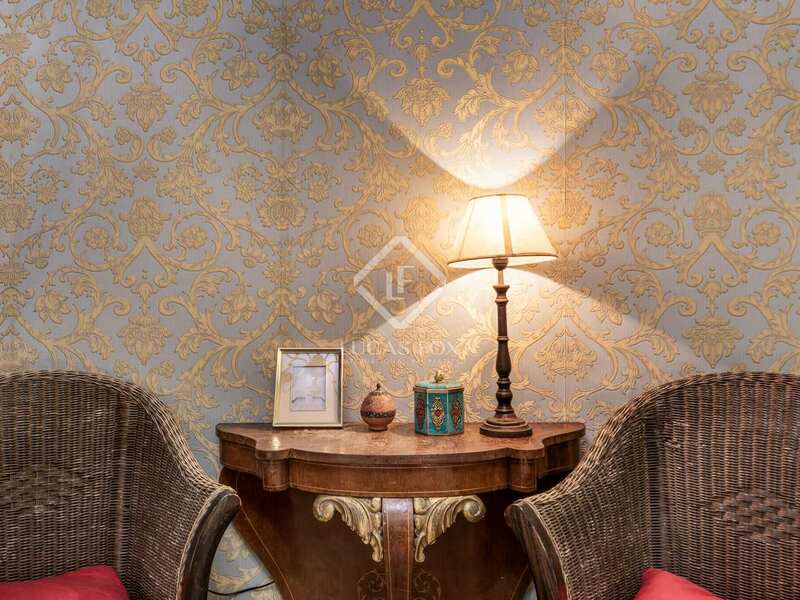 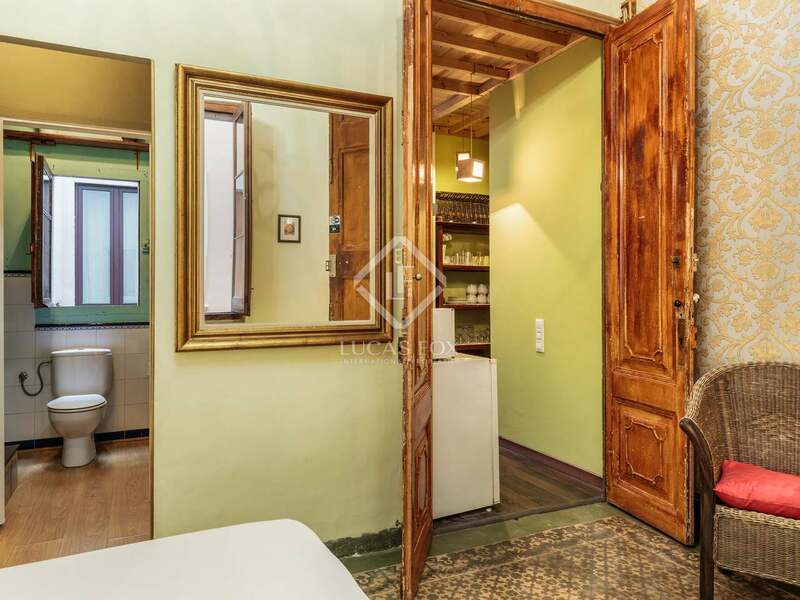 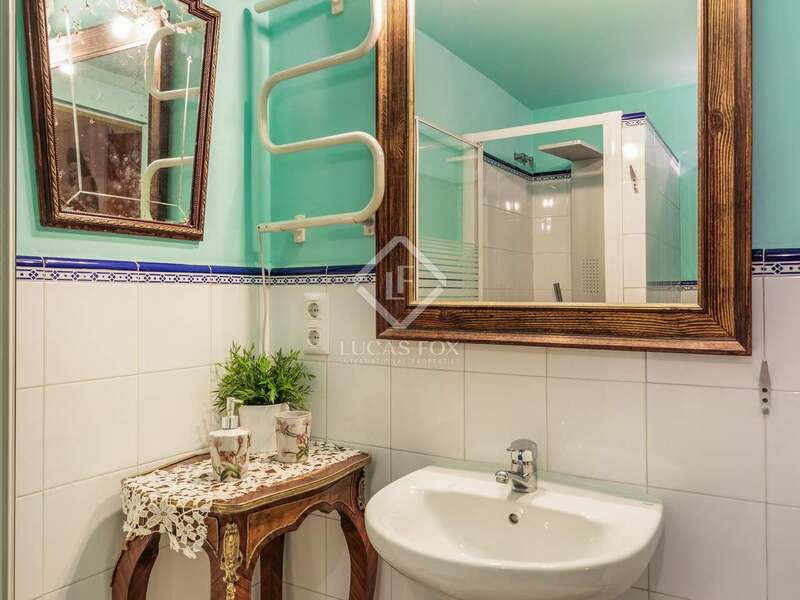 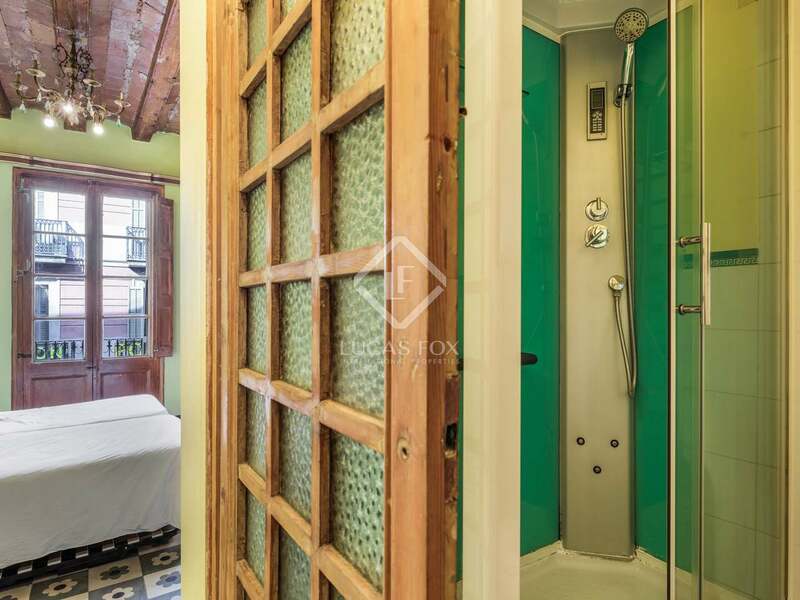 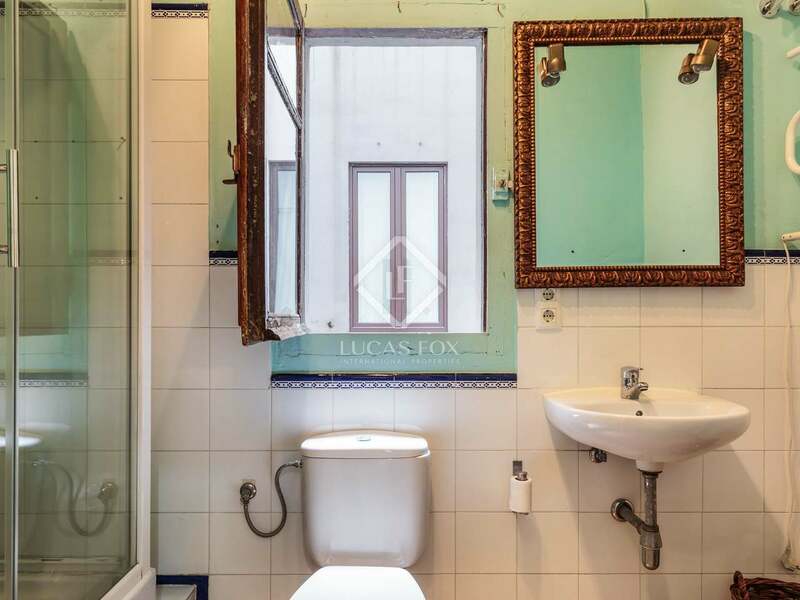 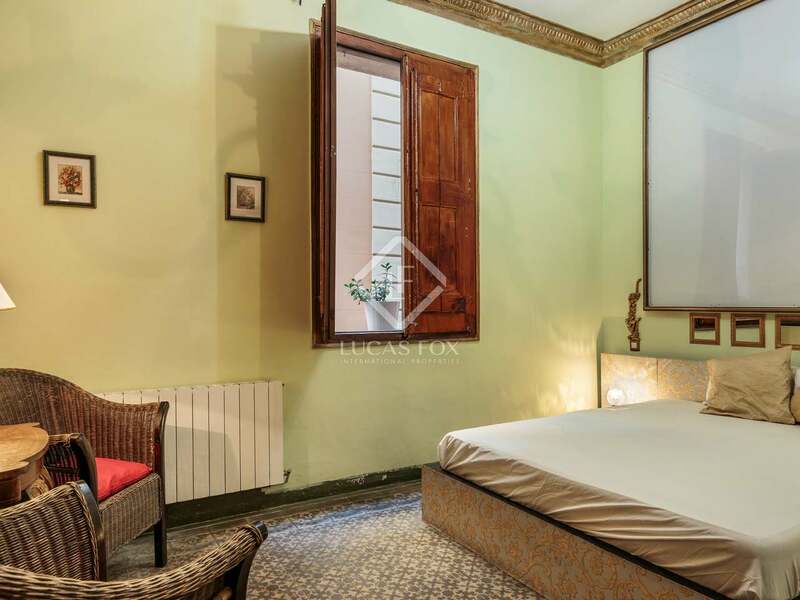 This property enjoys an excellent location on the main floor of a historic building next to the sea and the Ramblas, in Barcelona's Gothic quarter. 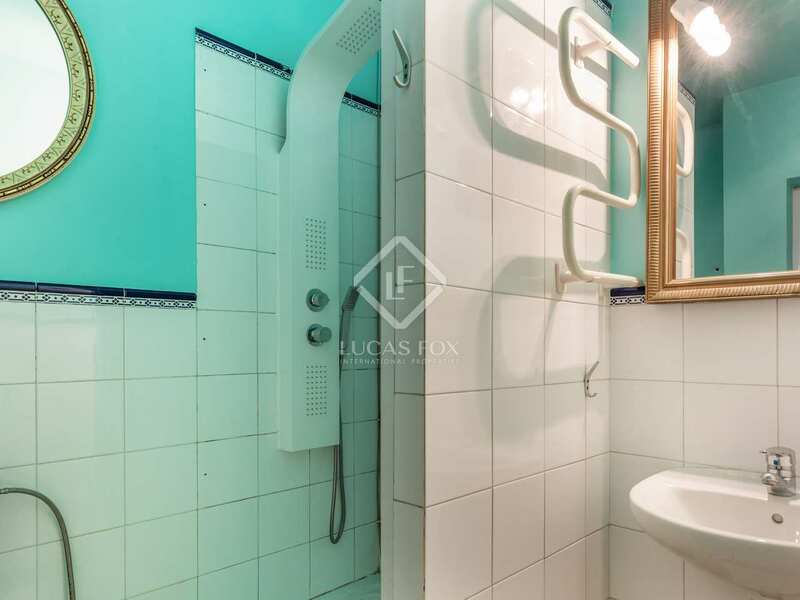 It is easy to access and well connected to public transport services. 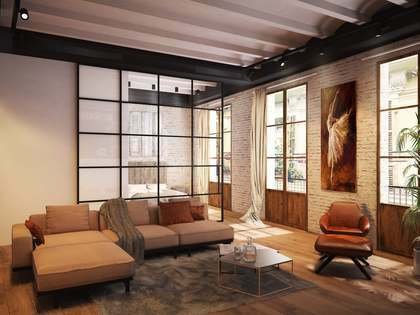 It is also just 1 street away from the exclusive Soho Club.